Our infant daycare is for children 6 weeks and older. 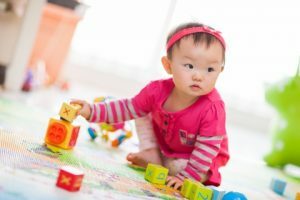 As the first school experience your child will have, it’s important to find an infant daycare that recognizes their needs and provides a nurturing, engaging environment. At Lil’ Rascals Academy — with locations in Cooper City, Davie, Pembroke Pines, and Weston — you’ll benefit from our baby daycare that focuses on hand-eye coordination and fine and gross motor skills. Your child will work on grasping objects, sitting, crawling, and walking to accomplish this. Schedule a free tour of our infant daycare today to see how you like it! Why choose Lil’ Rascals Academy as your infant daycare? Our baby daycare focuses on your infant’s physical, cognitive, and social development. All of the teachers at our daycare center are nurturing, attentive, and fully certified. 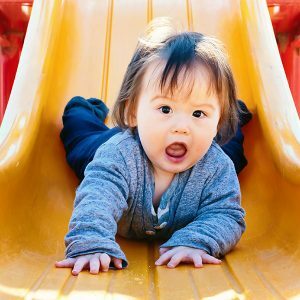 The infant classroom curriculum prioritizes sensory activities and nurturing for a positive learning environment that will help your child develop. Our daycare center is bright, clean, and full of activities — and we have four locations for your ultimate convenience. You can schedule a free tour to see how you like our daycare and teachers. Visit us today! Infant care is the first school experience and sets the tone for positive learning. Lil’ Rascals infant program centers on your baby’s physical, cognitive and social development. Our teachers guide children to develop hand-eye coordination and fine and gross motor skills through accomplished play, grasping objects, sitting, crawling and walking. The infant classroom curriculum offers children exposure to the world around them through sensory activities and our nurturing and attentive teachers will individualize the program to each child. Talk to us today about our unique preschool in Davie, Cooper City, Pembroke Pines and Weston.